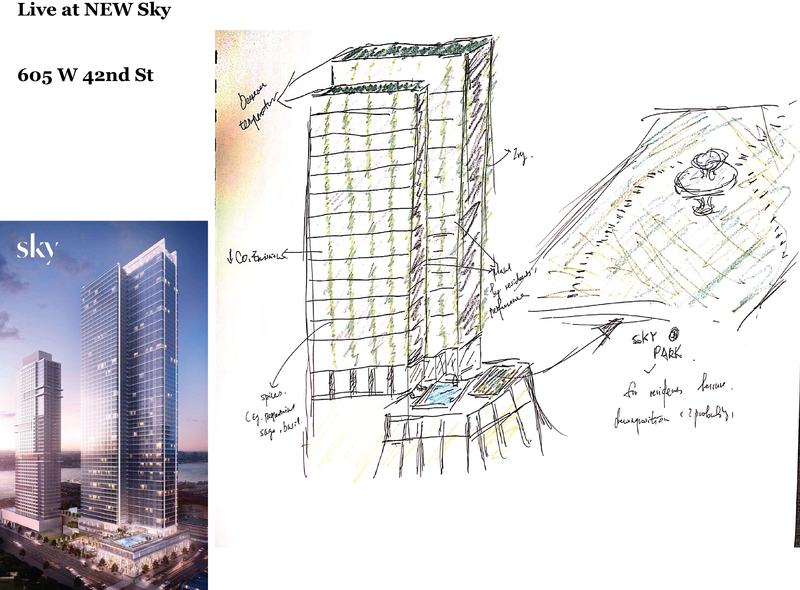 For my activating urban space task, I chose my apartment building and want to redefine it into a more eco-friendly way. In my new definition of this building, every resident has a small “sky balcony” when they open their window. They could use this petite space to grow something they would love, for example spices like basil or peppermint, plant as ivy, etc. It is not only about decrease CO2 emission, but also decrease the light pollution as we all know which is a serious problem in New York City. 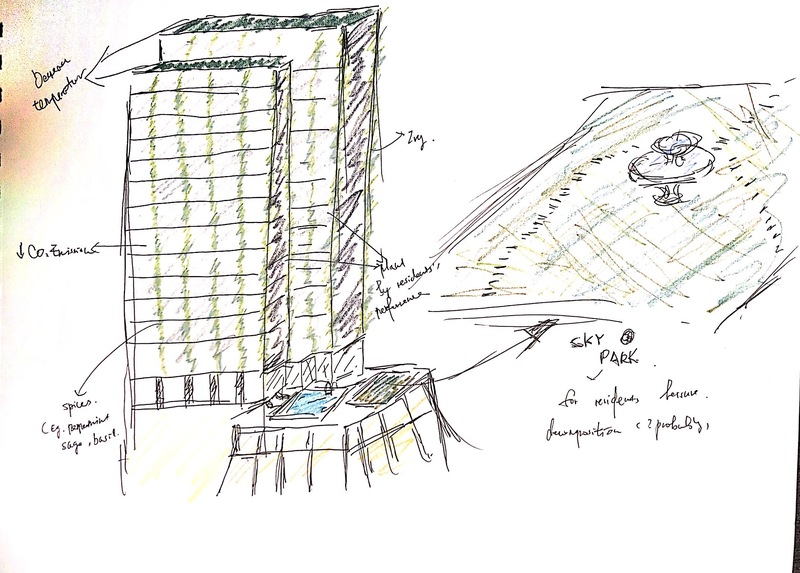 At public area, I designed a “Sky park” next to pool area, at Sky park there’s a small fountain which providing a relax atmosphere, and for people who want to contribute more to the environment and fertilize their sky balcony, there’s a space for decomposition. To avoid smell problems which might happen, there would be probably a small wood space especially for decomposition.